Sadie and McKayla are two social-media obsessed best friends who will stop at nothing to build their online following. 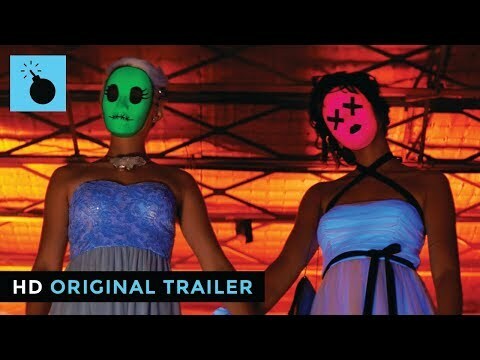 The self-titled "Tragedy Girls" kidnap Lowell, an unambitious local serial killer, and force him to mentor them into modern horror legends by committing murders to blow up on the internet. As the bodies fall, the girls become national news and panic in their small town hits a fever pitch - just then, Lowell escapes! Now with the local Sheriff closing in and their relationship on the rocks, the girls must rethink their plan before they find themselves the latest victims of their own killing spree. Tragedy Girls was released on Cinema 553d ago in the US. Notify me when Tragedy Girls is available. Based on 4 Tragedy Girls reviews, Tragedy Girls gets an average review score of 61. Funny, gut-churning, playful, wicked, and warm, Tragedy Girls is one of the better horror-comedies in recent memory. If Scream and Heathers shacked up and had murderous, millennial offspring, it might look a lot like Tragedy Girls. Throughout, the narrative padding is conspicuous, and the copious references to better films are gratuitous, even lazy. Tragedy Girls might add group texts to its instruments of death alongside marauding table saws and falling barbells, but the movie’s gender stereotypes keep it chained to the past.